9.2 Internal Audit 8.2.2 Internal Audit This requirement is unchanged from the requirements of ISO 9001:2008 Clause 8.2.2 – Internal Audit. The purpose of an internal audit is to assess the effectiveness of your organization’s quality management system and your organization's overall performance. Your internal audits demonstrate compliance with your ‘planned arrangements’, e.g. the QMS and how its processes are implemented and maintained. Looking for an Internal Audit Checklist? Please click here to find ISO checklists that are proven to work. Auditing relies on a number of principles whose intent is to make the audit become an effective and reliable tool that supports your company’s management policies and policies whilst providing suitable objective information that your company can act upon to continually improve its performance. Adherence to the following principles are considered to be a prerequisite for ensuring that the conclusions derived from the audit are accurate, objective and sufficient. It also allows auditors working independently from one another to reach similar conclusions when auditing in similar circumstances. The following principles relate to auditors. Evidence-based approach: Evidence must be verifiable and be based on samples of the information available. Competence level may be measured by training, participation in previous audits and experience in conducting audits. Auditors may be external or internal personnel; however, they should be in a position to be impartial and objective. When internal personnel are selected to perform an audit, a mechanism needs to be established to ensure objectivity, for instance, a representative from another department may be selected to do the audit. Audits are demanding and require various forms of expertise. The size of the audit team will vary pending the size of the organization, size and type of operations and the scope of the audit. Before the audit, prepare thoroughly! Spending time in preparation will make you much more effective during the audit - you will become a better auditor. Auditors should not skip this step as it provides much needed value to the audit. Taking the time to prepare and organize actually saves time during the audit. You should have an up-to-date audit schedule and a well defined audit plan for each process. Be sure to communicate the audit schedule to all parties involved as well as to top management as this will help reinforce your mandate. Gather together all the relevant documented information that relates to the process you will be auditing. Look at process metrics, work instructions, turtle diagrams, process maps and flowcharts, etc. If applicable, collect and review any control plans and failure mode effects analysis work sheets too. Review these thoroughly and highlight the aspects that you plan to audit. Using the documented information in this way ensures they become audit records. Your organization’s documented information may not cover all of the requirements that may be relevant to the process. If certain information is not available, it may become your first audit finding, not bad for the pre-audit review! Certain information and linkages should be audited. Some are required and some are simply good audit practice. Putting these sections into a worksheet format gives auditors a guide to follow, to ensure the relevant links are audited. Good auditors realise very early on that they are dealing with personalities as much as processes and systems. Whilst the intent of the audit a serious one, often light humour, politeness and diplomacy are the best ways to build rapport. It is vital every effort is made to reassure those being audited that the audit’s primary function is to drive improvement, not to name and shame. If you are new to auditing, acknowledge this fact, be open and honest. It is also important to explain to the auditees that they are free to express their views during the audit. Remember that you, the auditor, are also there to learn. Always discuss the issues you have identified with the auditees and always provide guidance on what is expected in terms rectifying any non-conformances or closing out observations you raised. Let the auditees know they are welcome to read your notes and findings; the audit is not a secret. Try not to be drawn into arguments concerning your observations. It is never appropriate to directly name people in the audit report as this may lead to defensiveness which is ultimately counter productive. Internal audits are commonly referred to as ‘first-party audits’ and are conducted by an organization to determine compliance to a set of requirements which might arise from standards like ISO 9001:2015, as well as customer or regulatory requirements. The system audits are best undertaken using the internal audit checklist. This type of audit focuses on the organization’s quality management system as a whole, and compares the planning activities and broad system requirements to ensure that each clause or requirement has been implemented. The process audit is an in-depth analysis which verifies that the processes comprising the management system are performing and producing in accordance with desired outcomes. The process audit also identifies any opportunities for improvement and possible corrective actions. Process audits are used to concentrate on any special, vulnerable, new or high-risk processes. The product audit may be a series of audits, at appropriate stages of design, production and delivery to verify conformity to any specified product requirements, such as dimensions, functionality, packaging and labelling, at a defined frequency. The internal audit checklist will help you to determine the extent to which your organization’s quality management system conforms to the requirements by determining whether those requirements have been effectively implemented and maintained. The templates will help you to assess the status of your existing management system and identify process weakness to allow a targeted approach to prioritizing corrective action to drive improvement. The internal audit checklist comprises tables of the certifiable (‘shall’) requirements, from Section 4.0 to Section 10.0 of ISO 9001:2015, each requirement is phrased as a question. This audit checklist may be used for element compliance audits and for process audits. If you wish to create separate process audit checklists, select the clauses from the tables below that are relevant to the process and copy and paste the audit questions into a new audit checklist. We suggest that you retain this audit checklist as your ‘master copy’. The gap analysis will likely be your first ISO 9001:2015 audit. The gap analysis checklist highlights the new requirements contained in ISO 9001:2015 but it not intended to cover all of the requirements from ISO 9001:2015 comprehensively. The unique knowledge obtained about the status your existing quality management system will be a key driver of the subsequent implementation approach. Armed with this knowledge, it allows you to establish accurate budgets, timelines and expectations which are proportional to the state of your current management system when directly compared to the requirements of the standards. Your organization may already have in place an ISO 9001:2008 compliant quality management system or you might be running an uncertified system. 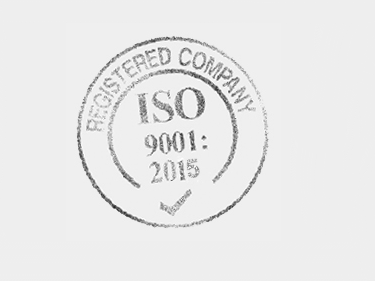 If this is the case, you will want to determine how closely your system conforms to the requirements ISO 9001:2015. The results of a gap analysis exercise will help to determine the differences, or gaps, between your existing management system and the new requirements. Not only will the analysis template help you to identify the gaps, it will also allow you to recommend how those gaps should be filled. The gap analysis output also provides a valuable baseline for the implementation process as a whole and for measuring progress. Try to understand each business process in the context of each of the requirements by comparing different activities and processes with what the standard requires. At the end of this activity you will have a list of activities and processes that comply and ones that do not comply. The latter list now becomes the target of your implementation plan. A good summary report is the output which is the value of the audit. It deserves an appropriate amount of attention and effort. As you moved through the audit, you should have noted the issues and improvements you saw. These should have been marked clearly so you are now able to quickly review and capture them as you write the report. These findings and conclusions should be formally documented as part of the summary report. Too often, the audit report only recites back facts and data the managers already know. The value is in identifying issues and opportunities they do not know! This summary should be reviewed first with the lead auditor, then the Process Owner and Management Team. Make final revisions and file the audit report and all supporting audit materials and notes. Gather the whole audit package together, in an organized manner. The rest of the work instructions, flowcharts, notes and relevant papers should be gathered into the audit package as supporting records. All findings should also be documented on your corrective action forms. The audit summary and the corrective action forms should be attached to the audit package, which now becomes the audit record. Only the summary report and corrective actions need be given to the process owner. These basic audit questions will help guide the audit in the right direction since the answers they provide often unlock the doors to information the auditor requires in order to accurately assess the particulars of a process. How do you know how to carry them out? How is the effectiveness of training evaluated? What are the objectives of your processes? What is the quality policy and where is it found? Which documents do you use and are they correct? What outputs does your process create? How are your records maintained? How do you ensure that products meet the stated requirements? Is customer satisfaction data analyzed? What happens when changes are made to product requirements? Are there trends in non-conforming products and what's being done about it? Is the non-conformance procedure linked to the corrective action process? Are employees made aware of the quality policy and objectives? Are policies and objectives available and relevant? How are quality objectives determined? Is there a clear link between the policies and objectives? How is progress towards objectives measured and communicated? Has the number of customer complaints changed over time? What tools are used to identify the causes of complaints? How are improvement efforts and successes communicated to employees? The audit schedule is divided up to reflect each section of ISO 9001 You should determine which of these sections are of greatest relevance to your business; in other words, which processes, should there be problems, will affect your customers the most. These are the processes that your company must make certain remain stable and consistent. You might wish to schedule these key processes for additional audits, perhaps two or even three times per year. Looking for help with Internal Audits? Our easy-to-use procedures, checklists, process maps, templates and forms will guide you through the process and help you perform your internal audits. Written by experts, they are proven to work. To learn more about our internal audit templates please see below. Everything you need to perform an internal audit for the first time. Everything you need to learn to become an auditor for implementing ISO 9001:2015 for the first time. Everything you need to perform an internal audit transitioning from ISO 9001:2008 to ISO 9001:2015. Everything you need to learn to become an auditor for ISO 9001:2015. Everything you need to perform an internal audit transitioning from ISO 14001:2004 to ISO 14001:2015. Everything you need to learn to become an auditor for ISO 14001:2015. The checklist ensures each audit concisely compares the requirements of ISO 9001:2015, ISO 14001:2015 and OHSAS 18001:2007, and your EHQMS against actual business practice. 386 Audit Questions, 70 pages. Everything you need to perform an internal audit for ISO 9001 and ISO 14001 together. Everything you need to perform an internal audit for ISO 9001, ISO 14001 and ISO 18001 together.